I do this to make sure you’re not a robot. If you’ve already confirmed your email, check your inbox for access instructions. 17 videos. Total length: 3 hours, 46 minutes, and 39 seconds. HD downloadable videos show you how to get great guitar tones with Logic Pro. Step-by-step Logic Pro tutorials explained in the easiest and fastest way possible. 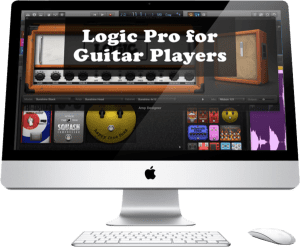 In addition to the Amp Designer Cheat Sheet I’m be giving you, I’d like you to consider getting the complete Logic Pro for Guitar Players course. This course unlocks the full power of Amp Designer and Bass Amp Designer and gives you access to high-definition videos that you can watch or download anytime. And during this limited-time offer, you can get it for only $19.95! Sculpt Killer Amp Tones and Master Logic Pro! This limited-time offer is priced low so we can get as many people as possible making better music. 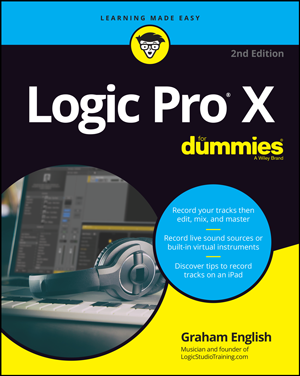 You’ll discover how to use Logic Pro, how to use Amp Designer and Bass Amp Designer, how to record and edit audio and MIDI, how to automate your mix, and much more! You might be new to Logic Pro now, but shortly after you buy the complete Logic Pro for Guitar Players course, you’ll have what you need to master Amp Designer, create iconic guitar and bass tones, and change your music into something you can be proud to share. 17 HD videos. Download or watch online anytime. 3 hours, 46 minutes, and 39 seconds of step-by-step Logic Pro tutorials explained in the easiest and fastest way possible. Just $19.95 today! Our Logic Pro training gets you back to creating music in far less time. No searching through crappy YouTube tutorials. No time wasting. No frustrating troubleshooting while your inspiration nosedives. Guaranteed or we’ll refund your money! P.S. You might be new to Logic Pro now, but shortly after you buy Logic Pro for Guitar Players, you’ll have what you need to master Amp Designer and change your music into something you can be proud to share. P.P.S. This offer is not JUST for guitar players. You also get a special bonus hour long video on Amp Designer for Keyboard Players: Mixing keys, effects, classic amp/keyboard combos, and much more! You have an entire 90 days to try it out. 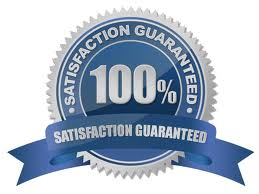 If you’re not satisfied, I’ll give you a full and immediate refund.